Volvo Cars set a new global sales record in 2018, breaking the 600,000 sales milestone for the first time ever since the company was founded in 1927. The company’s sales rose 12.4 per cent to 642,253 cars in 2018, compared with the same period the year before. This is the fifth consecutive year of record global sales for Volvo Cars. In 2017, the company sold 571,577 cars. The new sales record in 2018 underscores strong demand for Volvo’s renewed product portfolio, led by its award-winning SUV line-up, across the core regions of the US, China and Europe. In December the company sold 60,157 cars, up 2.8 per cent compared with the same period last year. In the January-to-December period, US sales grew by 20.6 per cent to 98,263 cars compared with the same period the year before. The strong performance came on the back of growing demand for its SUV line-up, led by the XC60. The made-in-the-US S60 saloons have also started reaching dealerships and should contribute to volumes in 2019. In December, Volvo Cars sold 8,826 cars in the US market. Europe also reported a strong performance in the year. Sales rose by 6.4 per cent to 317,838 cars in the 12-month period compared with 2017. 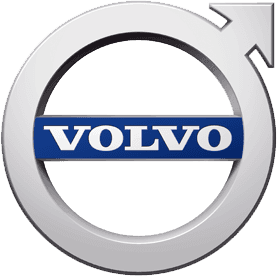 The robust performance was led by the new V60 and XC40 models. In December the company sold 29,469 cars in the region.